The ongoing battle between the UCI and Roman Kreuziger continues. Yesterday saw a fresh round with the Court of Arbitration for Sport (CAS) holding an expedited hearing from Kreuziger over the provisional suspension issued by the UCI. The result is that he’s banned from racing and won’t do the Vuelta a Espana. 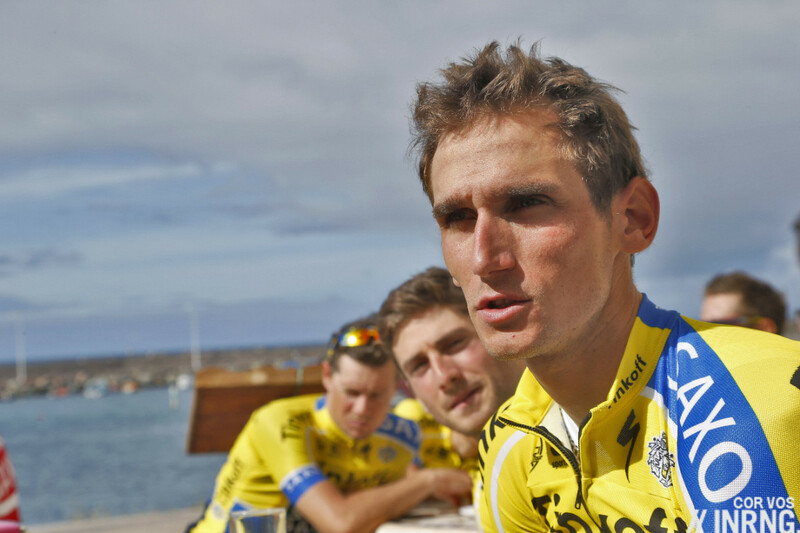 Strangely the UCI has yet to announce whether it will actually prosecute Roman Kreuziger. We’ve had the news earlier this month of the provisional suspension. But all other bio-passport cases – with the exception of Denis Menchov – have seen a short statement from the UCI announcing a prosecution. Yesterday the UCI added “the hearing to decide on whether or not the rider has committed a doping offence will follow” which begs the question of why it hasn’t happened already. 235 If analysis of an A Sample has resulted in an Adverse Analytical Finding for a Prohibited Substance that is not a Specified Substance or for a Prohibited Method… …the Rider shall be Provisionally Suspended pending the hearing panel’s determination of whether he has committed an anti-doping rule violation. Note the “analysis of an A Sample” wording as this is part of the standard toxicology approach to anti-doping where a lab is searching for banned molecules. With the passport there are no A and B samples. So in the literal sense the rules simply don’t mention what happens in the event of a passport case, this is uncharted territory. The UCI’s response though has been to suspend Kreuziger presumably arguing that the suspicion generated from the statistical evidence of the bio passport is equal to the suspicion of an adverse A sample. WADA and other sports federations do this, for example the IAAF, governing body for athletics, changed its rules to allow athletes to be suspended if the athlete passport panel unanimously agrees it’s highly likely there’s doping. The UCI needs to follow suit with updated rules: a copy/paste task. Whether you’re a fan or not of Kreuziger isn’t important, the governing body went beyond the text of its own rules to stop a rider from racing. It ought to make us uncomfortable when a governing body tasked with setting and upholding the rules starts bending them. It can argued it’s right to bend them for the right reasons but it’s risky when the UCI starts acting like a Sheriff in a frontier town. You can see the logic if a rider is under suspicion then they should be suspended. Indeed this had been an unofficial procedure with riders stopped from racing during the investigation. Think Carlos Barredo or Jonathan Tiernan-Locke stopped by Rabobank and Sky respectively. Tinkoff-Saxo did the same with Kreuziger taking him out of their Tour de France squad but now want to race him and say the allegations of dodgy data date back to his time with Astana. But it’s this precedent that makes you wonder why the UCI didn’t update its rules, relying on teams to uphold a soft version of the rule is why we’ve got the mess. The second point is the legitimacy of the bio passport itself. It’s a great tool but justice needs to swift. The reasons for some of the delays are well set out at cyclingtips but there have been delays. Kreuziger needs to be “charged” for an anti-doping matter and formal disciplinary procedure started otherwise some risk losing patience with the passport. One advantage here though is that provisional suspensions relating to the passport are now a formal matter, there won’t be any suspicion should a rider take a long break from racing. From now if there’s a suspension the UCI is bound to announce it. As an aside one interesting observation is Oleg Tinkov’s support for Roman Kreuziger. Many team owners would be horrified to find a rider linked to a bio passport case. There’d be all sorts of cautious language. Rabobank team managers couldn’t afford to side with Carlos Barredo while their sponsor was deciding whether to stay in the sport. Team Sky talked of “due process” and didn’t comment much more on Tiernan-Locke. Katusha opted for total silence over Denis Menchov’s phoney injury and retirement story. It’ll be interesting to see what Tinkov does next. A small win for the UCI and reinforcement for the bio passport. In the past the UCI didn’t suspend riders on a provisional basis, relying on teams to bend. Now the CAS ruling allows the UCI to stop anyone from racing if the expert panel wants to open a case. But we would not have had this appeal if the rules were clearer and Chapter 8’s scope was broader than the reference to A sample findings. This part of the UCI rulebook needs to be redrafted and suggests the anti-doping rules among WADA members is still variable among governing bodies. Kreuziger can’t ride the Vuelta nor plan for much else either. Since June the UCI has promised to start disciplinary proceedings. The “new” power of provisional suspension could see riders suspended for long periods prior to hearings because of the complex nature of passport cases. Will the case turn into a lawyer-fest with Oleg Tinkov laying siege to the UCI? Whilst agreeing with most of the procedural points you raise, I think we have arrived at an acceptable position regarding this particular bio passport case. Whilst we must await the final outcome of this case, I personally have every confidence in both the bio passport and those charged with its interpretation. Kreuziger almost certainly takes comfort from the continuing support of Tinkov. This illustrates the dangers of having wealthy individuals, with a known appetite for confrontation, to be team owners. This case raises more than just the important procedural points you raise. > Kreuziger almost certainly takes comfort from the continuing support of Tinkov. > for confrontation, to be team owners. Some disagreement here. There are definitely areas where the case handling needs to be clarified and streamlined, a character like Tinkov is forcing the UCI to get their act together. Like now having a precedent ruling from CAS, about bio ongoing passport investigations. Definitely an improvement. Something of a Catch 22 for the UCI. Hindsight is all well and good but up to this case the teams have played ball and there has been no need to change the wording (one of, probably, 1001 things the UCI need to be dealing with). If they had changed the wording as soon as Tinkoff decided not to suspend Krueziger they could equally be accused of changing the rules to get at one rider. Better, in my view, to do it when there are no cases pending. As it stands we’ll never know when cases are/aren’t pending as the right to respond stops the process. Following JTL’S outing by David Walsh I think all future requests for explanation should be out in the open and result in A sample sanctions to the rider. If the passport can be trusted then UCI should put the anti doping bodies opinions in the public domain. If not then they can be accused of cover ups as per the Contador micro +ve case. Its very unsatisfactory. I still want to know how many cases are dropped after the explanation stage. Are we any further in understanding that? No, the stats aren’t known and it’s useful thing to know. JTL was outed by Walsh but a special rule in the UCI rulebook means anyone being investigated for doping has to sit out the worlds so this is what got him, if he was down to ride another race he could have carried on. In law there is always a case for teleological interepretation – as I know one particularly lawyer has already pointed out to you on Twitter, INRNG. There’s little surprise for me at any rate that CAS have backed up UCI on this. Nor is it any surprise that there is room for interpretation across various sports governing bodies re the WADA Code. It was constructed in this way, and to some extent its the only way WADA can get new versions of the Code through the arduous and lengthy process of agreement across all governing bodies and federations. Law always leaves room for a certain amount of interpretation. It has been ever thus. Yes, I can see that, the ends justify the means. But hopefully there’s no need for interpretation if the rules can be updated. For all the talk of WADA compliance the drafting needs to be tighter. There will always be room for interpretation. You can try to close one area but there will always be others. You want black and white – but law isn’t like that. The concern is an interpretation of the rules that is made arbitrarily and without the reasoning spelled out. I’m not necessarily accusing the UCI of this but to simply announce this interpretation of the rules in a press interview leaves me uncomfortable. Though judges interpret the law, they must be guided by legal principles and provide an account of their reasoning which can be challenged at a higher court of appeal. I was going to chime in with something similar to Sam. Sometimes, the rules don’t cover every conceivable scenario, and you have to understand the intent behind clauses / rules, and seek to enforce the intent accordingly (as such the CAS ruling is now all they need to do – no rule change is required). As such, I think your analogy between the Sample A and the Bio-passport being particularly good. Yes you can argue about the rules should be specific in this circumstance (ie it was realistically feasible to forsee IMO), but also, why did they need to specifically create a rule when the teams were already self policing this aspect for them.? If I was in their scenario I probably would have done the same. The difference now is that are up against an outspoken billionaire owner who probably has more of a beef with the UCI for not letting him know ahead of signing the rider, and wants to ram home his point (and get some return on his investment?? ?, but not also have to worry about the views of other sponsors), and thus is more willing to force the UCI’s hand versus another team (which is probably more concerned about the image to their sponsors and therefore needs to consider the longer term financial consequences). This– exactly. Sure, clearer rules would be nice. But it is difficult for even the best lawyers to draft in anticipation of all possible circumstances and events. In the meantime, the objectives of the rules and the sport’s need for anti-doping enforcement are clear (and recent history). Of course, fairness and accuracy require a balance with the athlete’s interest in contesting any charges– but RK’s access to CAS already speaks for itself. The controversy here is really being fueled by Tinkov. He is trying to blame the UCI for his own negligence and risk taking. The result is that UCI anti-doping efforts lose credibility and support. He is the loud person in the room and so naturally people’s suspicions are raised, even if the claims themselves have little merit. He could have addressed his concerns in a more constructive and thoughtful way if he really had the best interests of the sport in mind. While most will agree this is a mess that needs fixing by the UCI, I think it will be interesting to see what they do should they hand down a suspension based upon conviction rather than deep suspicion. Will they give a full 2-year sentence with credit for “time served” (and when will time served be calculated from) or will the suspension start at the day of conviction, and run it’s full term. While CAS backed the UCI over this preventative suspension, we have seen them go against governing bodies for exceeding proscribed punishments. It’s not down to the UCI to name the duration of the suspension, or to actually initiate the disciplinary proceedings. They hand it over to the rider’s national cycling federation. Then either the federation handles it from then onwards, or, if the fed has an agreement with the NADO, they hand it straight over to the NADO (to avoid any possibility of bias). British Cycling, USA Cycling etc have such arrangements with UKAD and USADA respectively. So in Kreuziger’s case it would be up to the Czech cycling fed. In JTL’s case it was noted that as Sky had suspended him from racing etc as soon as the UCI issued their statement re him last Dec, his ban was deemed to commence 1 Jan 2014 rather than the date of the judgement last month. Note the UCI doesn’t always hand down the cases. It can prosecute if it wants too. It handled the Menchov case for example. -Athlete is suspended in accordance to the sports federation’s rules. Those rules are vaguely WADA compliant, but vary from sport-to-sport. -The sports federation has all of the authority to open cases. All. The lab provides test services and uploads information. My comprehension of the role of an APMU administrator is not good and who this person works for and how they interact with the federation is also not understood. -In Kreuziger’s case, it’s not clear if the case was handed over. There certainly has been no published decision by Kreuziger’s federation. Kreuziger was handled like Landis, the UCI/Cookson himself communicating confidential details far ahead of the sanction process. JTL’s case was run much closer to the standard process. Why so different? No clue. In JTL´s case there was no doubt about existence of the very atypical and adverse passport finding. On the contrary, Kreuziger publicly demurred that all values in his BP are within the Adaptive Model so there is (according to his statement) neither atypical nor adverse passport finding. The reaction from Mr. Cookson was very offensive and he declared Kreuziger´s values as “very serious anomalies” and “very serious indication of the manipulation” as well. Despite that, he doesn´t even mention evident contradiction between these two statements “no single atypical value” v. “very serious anomalies”. Reading through the Tiernan-Locke decision (slow day at work yesterday) the panel acknowledged that the process had been long and drawn out because it was a passport case and Tiernan-Locke had suspended himself after the charge became public so they dated the ban from January 1, 2014. It will be interesting to see if other national anti-doping panels take the same approach. Tiernan-Locke didn’t suspend himself – it was Sky who suspended him (sorry, being pedantic). Caveat emptor. If Tinkov does not like the fact that he has paid for a rider who is now not working, he should have contracted the risk of a doping prosecution on the rider. For example– salary reduced to legal minimum for any months rider is suspended for doping investigation/prosecution, balance paid if found innocent later, kept (and contract terminated) if found guilty. If an important employee is arrested and jailed for illegal drug use, my problem is with the employee, not the sheriff. The sheriff is just doing his job. And if I knew that the sheriff made it his job to go after illegal drug users, then I only have myself to blame for not protecting myself from the risk my employees bring to my business/investment. I am starting to question Tinkov’s reputation for business savvy. More importantly, despite the magic he seems to work on some fans with his charisma/antics, I am really starting to question how good he is for the sport. He cares more about himself than the good of the sport as a whole. Could the UCI use clearer rules? Sure. But let’s be clear– they are prosecuting a doping violation, ensuring a clean(er) sport. This should not be controversial. It should be celebrated– this is what the sport needs now. +1 Catching cheaters will always be a bit of a “moving target” task for the authorities as the cheats are usually more agile than any bureaucracy. We must remember that a lot of the “due process”, “benefit of the doubt” and “innocent until proven guilty” stuff happens BEFORE any cheaters are outed. The system is designed to let plenty of cheaters get away with breaking the rules rather than snare an innocent. You ensure a clean sport with clear rules everybody has to follow. And not tweak them to your needs if you believe it to be a good thing or lead to the desired result. And if the rules don’t suffice, there needs to be a firm process in place to change this. The BP exists in cycling since 2008 I think. It is a tool to prevent and detect doping. So it is just common sense to change the rules accordingly so this can really happen and have an effect. That hasn’t happened obviously or we wouldn’t have this discussion. This should be the real question/discussion. Am I correct to believe that the case has not been forwarded to Czech anti-doping? If so, I am very uncomfortable with the UCI delaying as they seemingly work on their case. They should have their case in order before suspending a rider in my opinion. It doesn’t serve justice to suspend a rider indefinitely, while refining the case against him. Perhaps a time limit for this phase could be put into the UCI or WADA rules? As a fan, I am very uncomfortable with a rider who is under serious suspicion of past doping to be riding in and affecting races. Cycling needs to move beyond voided or suspected results. It has already been officially announced. The Czech Fed “received” the case last week and shifted it immediatelly to the Czech Olympic Committee arbitration. The decision is expected within one month. Thnx for the update. I’m glad to hear that things are moving forward. The Czech cycling union recieved a direction from UCI 10 days ago, to start a diciplinary act. Enclosed was all documentation of the case. But followingly the Czech union decided, with the agreement of both the cyclist and the Czech Olympic Comittee, that the proceedings will be exceptionaly conducted by the latter. ups, I did not “sign” my translation unintentionally. At least I can add some comments. 1. The COC will not find K. guilty, unless a kind of confident deal among all parts would be made. 2. Such a deal could be a ban till the end of the year and then let him ride. Possibly some old results could be cancelled – but in the two years with Astana he did not win anything great. Notable results were last year’s Amstel win and 4th place GC at TdF. BTW, this is how Cantador’s clenbuterol case was handled. I think RK should accept even if he feels unguilty, his best years can be quickly over. 3. The way how Czech Cycling Union quickly shifted the responsibility away evokes some Pilatus 🙂 Although the COC could have more doping specialists, I don’t think they would be experts in the rather new biopassport topic. Thanks. Normally the UCI announces it has instructed a federation/anti-doping agency to prosecute the case, good to see the procedure has started. The headline is significant. If I had a chance to recommend Roman (his lawyer, Tinkov, also Cookson) one thing it would be to stop such controversial rhetoric. This is neither boxing match nor war. No one should fight with his own federation and vice versa. There is dispute over the Roman. But how many fans do really care about Roman? Much more interesting question is how to proceed (possible) biological passport violation case properly and transparently. I must say the UCI rules are definitely sufficient in anti-doping area. There is no substantial problem for regular handling BP violation cases under the present UCI rules. Moreover the WADA detailed documentation and operating guidelines doesn´t allow too much space for any possible misinterpretation. So where is the problem? The UCI themself doesn´t exactly follow their own rules, resp. the logic of these rules. For instance, the proof of doping is clearly defined and related burden “distributed” in article 22 of the UCI regulations. The standard for proving doping in any case is “greater than mere balance of probability but less than beyond a reasonable doubt”. Standard for rebutting doping presumption or establishing specific facts in favour of the athlete is “by a balance of probability” only. The whole concept of the biological passport is also intended for use as a proof of doping. The Adaptive Model is defined in compliance with this intent to mark on basis of probability the athlete with values indicating required higher probability of the use of prohibited substance or method which is per se sufficient for presumption of the anti-doping violation. So, we have such pertinent tool as the Adaptive Model, futhermore established by WADA, and there is not even a mention about it from UCI side? Is it correct from Mr. Cookson to make no difference between cases of rider with extremely suspect values (which means he is de facto presumed doper) and another rider with all values assumed by the Adaptive Model as physiologically normal? I don´t even start with Henao case proceedings comparison in this respect. As you seem to be so well informed regarding both the statistical analysis of the biological passport and the result of the expert analysis, could you enlighten us to whether additional tests were requested as is allowed in BP procedures? Don´t play on my vanity, please 🙂 I am not expert just trying to read carefully and understand the related rules, guidelines and decisions. If you review e.g. Zorzoli Study available on the biathlon fed web, you can easely understand the construct and purpose of the Adaptive Model and its connection with predefined standards of proof in UCI rules. The exact definition of the Adaptive Model and its purpose is set in WADA ABP Operating Guidelines. I am disappointed with all these political statements or silences regarding the bio passports violation cases. I am not very pleased that e.g. WADA spokesman and dr. Parisotto also adopted this vague “political” style of the communication. To your question: I understand the WADA (UCI) may request additional tests in reasonable extent anytime. The athlete is definitely allowed to request the additional tests in favour of his effort to rebut the doping presumption. I am not sure but that possibly took place in Henao case. I understand the Adaptive Model. It’s analogue is used in Statistical Process Control. If applied correctly there is no standard of proof, there is just a (predetermined) level at which the null hypotheses (in this case that there was no doping) is rejected with a level of certainty. In the case of the AM used by WADA it is 99.9%. In other words there is a 1 in 1000 chance that there has been an error in the model. Are you saying that this standard was not applied in Krueziger’s case? In linked article there is well summarized legal consideration regarding bio passport and the Adaptive Model. Is there any problem on UCI side with using this terminology proper way? Is it really so complicated to identify and generally apply e.g. the Atypical passport finding as “the positive Sample A” and the Adverse passport finding as “the positive Sample B” or analogue of the Adverse analytical finding? Think about this enchanting situation, Roman defending himself by arguing his BP values and its standard interpretation made in compliance with WADA and UCI rules on one side, the UCI experts and lawyers questioning or making fuzzy at least their own system of the biological passport and its standard use according to the adopted WADA regulation. What Henao case? There is no Henao case and never has been. “Bingo, you answered yourself” in response to “What Henao case?” That’s conspiracy nutjob material. You don’t really want to give that impression, do you? Eh? What ‘Henao case proceedings’? I’m sure you don’t mean to come across in this way, but you seem so affronted that Kreuziger is under investigation that you seem to be making things up as you go along. So on what stage of the process exactly will a rider from now on be suspended? Kreuziger bounces back. I have no idea of the basis of the BP anomalies in any detail, you appear to have the advantage of being better informed. You may well be a supporter of Kreuziger, but sometimes in life it is best to be patient and await the final verdict. Frustrating yes, but we have all been here many, many times before. These cases do nobody any good except the lawyers, and without exception bring the sport into further disrepute with the inevitable loss of sponsor confidence. I think everyone would like fairness and transparency, but when you get to “non-selective” things get sticky. We all know that BigTex wasn’t selected for extra scrutiny in spite of what we now know was some serious cheating, but I have a hard time arguing against selectivity for extra tests when cheating is suspected, but not yet obvious enough to generate sanction and withstand appeal to CAS. When you imply your favorite rider is being singled out and treated unfairly, it’s not far from the old “but all the others were doing it too” baloney we hear far too often. I believe the parameters used are set wide enough that NOBODY who is not cheating gets unfairly accused. UCI had very selective approach to the Big Texan, there is no doubt about it now. Give me one sample of the rider, which was/is suspended or banned only on the basis of variation of his values within the normal range set by the WADA Adaptive Model and I will fall silent. So you are accusing the three experts, who would not have known to whom the passport results applied, of independently and separately misinterpreting the results displayed in the passport. That’s one hell of a conspiracy theory. The Adaptive Model doesn’t set a ‘normal’ range. It calculates a mean and a standard deviation. As I have stated previously a series of results falling on one side of the mean can be considered abnormal even if they fall within the range that you consider ‘normal’. Sounds to me like the UCI are scared of being challenged in court by someone with loads of money, which could bring the whole passport crashing down. I think maybe it’s rules 241 onwards that apply to Kreuziger’s case, rather than 235-240. The latter do revolve around the “traditional” A/B test results, while 241 onward apply more generally to any kind of “anti-doping violation”. The conclusion in this piece, that “the governing body went beyond the text of its own rules to stop a rider from racing.” seems unwarranted by the way, given that 241+ definitely do allow the UCI to stop a rider from racing. There’s a lot of heat from some quarters accusing the UCI of not following the rules, and it seems this piece (along with your part I) may be adding to that heat unnecessarily, based on a possible misreading of the rules. 241 and beyond do allow the UCI to stop a rider from particular events with “provisional measures” but they’re emergency short bans, usually up to a week and “event”-specific, you’ll see “event” as a defined term. They apply in the absence of a “provisional suspension”, a defined term in the rulebook. The UCI has said Kreuziger is “provisionally suspended” and so not banned from one race but stopped completely. It’s using this term and so these rules. Rule 242 says the UCI can issue a provisional ban for any time it wants. If more than a week, there has to be an opportunity for the rider to give a written response to the UCI’s findings – which your previous piece on this established has been the case for Kreuziger. Perhaps that the UCI used “suspension” in discussing the Kreuziger case publicly has been confusing, but that doesn’t affect the powers the UCI has to ban riders from races until the end of their national federation. Yep, agree with pretty much all of that. No signatory can use the section/corresponding regs for passport cases. The Code then says signatories can choose to make regs for provisional suspensions for other non positive sample violations. The UCI does this in 241 onwards, and 242 specifically includes the non positive sample cases reg that applies for passports as a reason to trigger “provisional measures”. To use the colloquial term rather than the legalese does not invalidate what it is doing. Yes the regs can be made with sharper language, can do with an update, could even go further (again c/f the IAAF who still suspend athletes that win at national tribunals whilst it appeals to CAS – no Contadoresque riding in between legal decisions in athletics) but are still in current form fit for purpose. According to a tweet from Cyclingnews’ Daniel Benson, Tinkoff Saxo said UCI used rule 242 + rule 313.
opinion of the Anti-Doping Commission or such member, is likely to affect the Rider’s results. to file written submissions before the ban goes into effect or on a timely basis thereafter. 313. In addition to the automatic Disqualification of the results in the Competition pursuant to article 288 and except as provided in articles 289 to 292, all other competitive results obtained from the date a positive Sample was collected (whether In-Competition or Out-of-Competition) or other anti-doping rule violation occurred, through the commencement of any Provisional Suspension or Ineligibility period, shall, unless fairness requires otherwise, be Disqualified. have been affected by the Rider’s anti-doping rule violation. on the date of the third Whereabouts Failure. If the infermation from Kruziger/Tinkoff Saxo is correct, the abnormaleties in the passport were from when he raced for Astana. “may ban the Rider from participating in Events for such time that the violation, in the opinion of the Anti-Doping Commission or such member, is likely to affect the Rider’s results” How is his doping violation in 2012 going to affect his results in the 2014 Vuelta? And why did they need to use rule 313? It is about which results to annull in case of a doping violation. It would indeed be much easier for UCI to just have a rule that said CADF can provisionally suspend a rider when the expert panel has reached agrement that the explanation for the bio passport abnormaleties must be doping. If UCI used rule 242 and 313 to suspend Kreuziger there is no wonder why Tinkoff Saxo and Kreuziger took the case to CAS. If UCI had a clear rule like IAAF have they might have steared clear of this CAS hearing, and all the extra noise. It is the worst development I could imagine. The UCI should protect the concept of the biological passport by strict and transparent following their own rules. They should target and investigate proper way any rider with extreme values firstly and tighten their grip on this step by step according to the improvement and practical results of the biological passport method. If they lose it to Roman, it would be good for him, but may cause complication in future biological passport violation cases. That is not Roman´s mistake, of course. So the whole sordid mess will end up (as usual) at CAS. If they decide the UCI didn’t follow their own rules, RK will skate and UCI will be forced to clarify things and follow them in the future. I’m OK with that. I’ve read somewhere Brian Cookson saying the WADA-Code is ambivalent on the Biological Passport and they decided to treat these cases as if they were positive A-samples -if possible. And put in place provisional suspensions as if they were positive A-Samples. Again -if they can. Now Cookson is only Cookson and not involved in this case. Still revealing and not very clever saying something like this. And yet he has been backed up by WADA who confirmed that the UCI have been compliant with the Code in suspending Kreuziger from racing for the time being. This isn’t the first example of UCI under Cookson not adhering to it’s own rules and making stuff up along the way. The recent deliberate prevention of a rider wishing to make an attempt at the world hour record because they were not in the professional ranks is another example. Rather than address the inadequacy of rules through correct process, they are making unilateral decisions outside of their own remit and I agree that’s a precedent that needs to be curbed. It is based on professionalism but on the need to have a Biological Passport. You, I assume, would accept an hour record from somebody who was doped up specifically to break the record? The UCI (and cycling in general) have been burnt by that in the past. I must say I think that is both harsh and untrue. Cookson appears to be doing a good job given the difficult circumstances, and should be given a chance, time and space to prove himself. The current RK situation is nothing new and will not be the last case to follow a similar path. My confidence in this case is with the three independent academics who have decided there is a case to be answered. It is a shame that the basic scientific facts are ignored by those involved in such cases, with procedural wriggling and a certain amount of mud slinging taking precedent. The sport is always left the poorer. I await the final outcome with interest, but hope it relates to scientific facts, rather than endless twisting of procedural minutia by lawyers. These three independent academics, should they also follow the relevant regulation? The biological passport is great and mighty tool against doping, but it must be used according to the rules established by the WADA and UCI themselves. I don´t like any “abracadabra, we have a case”. Is it really such a big problem to follow IN ANY CASE predefined and only logical way in bio-passport proceedings: the Atypical passport finding occured, the Adverse passport finding confirmed, the Bio passport violation case filed? +1 Ignore the one below, this is for BC’s comment rather than KBB’s. KBB. As far as I can see the rules have been correctly applied. The wriggle room around the precise meaning of words is a well trodden and tiresome track. I, and I am sure the majority of posters, have some faith in both the process and the science. Lets await the outcome, and stop complaining about any perceived application of process. RK, as with his predecessor’s, will be given a more than fair hearing, some might argue that the balance is skewed too far in favour of the rider ! We are all rather tired of history, where process in the vast majority of cases has eventually proved to have been correctly followed. RK either doped or he didn’t, that is the purpose of this investigation. The rule constitutes the justice, not faith. If you personally/majority of posters resign on more detailed understanding the rules so you have to rely on your faith in that matter, that is true. But the faith is used to be manipulated sometimes. Thank you for your reply, BC.